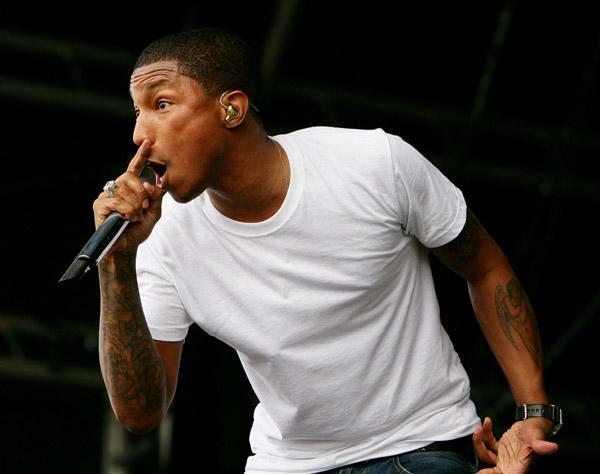 Pharrell is one of the most essential and influential presences in the history of the rap game. The four-time GRAMMY-award-winning co-founder of Billionaire Boys Club, Ice Cream Clothing and the i am OTHER multimedia creative collective has not only made waves in hip-hop, but music in general, as well as in the fashion and design worlds. Throughout his prolific 22-year career, the multitalented producer / emcee / singer / songwriter / drummer / designer has collaborated with the likes of the Clipse (of course), Common, Jay Z, Mac Miller, Mika, Snoop Dogg, Daft Punk, Robin Thicke, T.I. and countless others – not to mention his rock band N.E.R.D (with Chad Hugo and Shay Haley) and Child Rebel Solider, a super-group consisting of himself, Kanye West and Lupe Fiasco. Most recently, he expressed interest in producing an entire project for 50 Cent, and is executive-producing T.I.’s upcoming album as well as working on a new, singing-oriented solo project of his own, to be released via Columbia Records. Oh yeah, not only is he nominated for seven awards at the 56th Annual GRAMMYs, he’ll also be performing at them with Daft Punk and Stevie Wonder. Stay tuned. Pharrell attended Virginia's Princess Anne High School. The Neptunes were discovered by Teddy Riley while still in high school. He has a son named Rocket Man with girlfriend Helen Lasichanh, a model and designer. 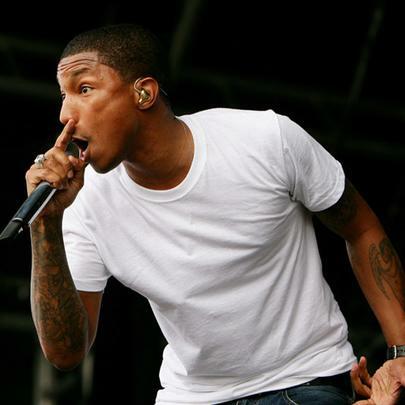 Religiously speaking, Pharrell describes himself as a Universalist. Esquire voted him the Best Dressed Man In The World in 2005.